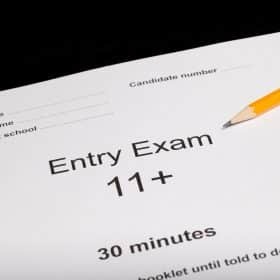 Introduced within the last few years, the CEM 11+ is a new form of the 11+ test across England to test Year 6 students on the skills deemed desirable by grammar schools. Students who pass the 11+ CEM will have a much better chance of attending grammar school than those who do not. 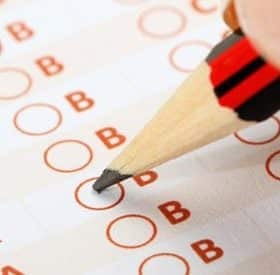 Therefore, if you are planning for your child to enrol in a grammar school, and your area uses the 11+ CEM for grammar school applications, it’s imperative that you prepare them for the test. 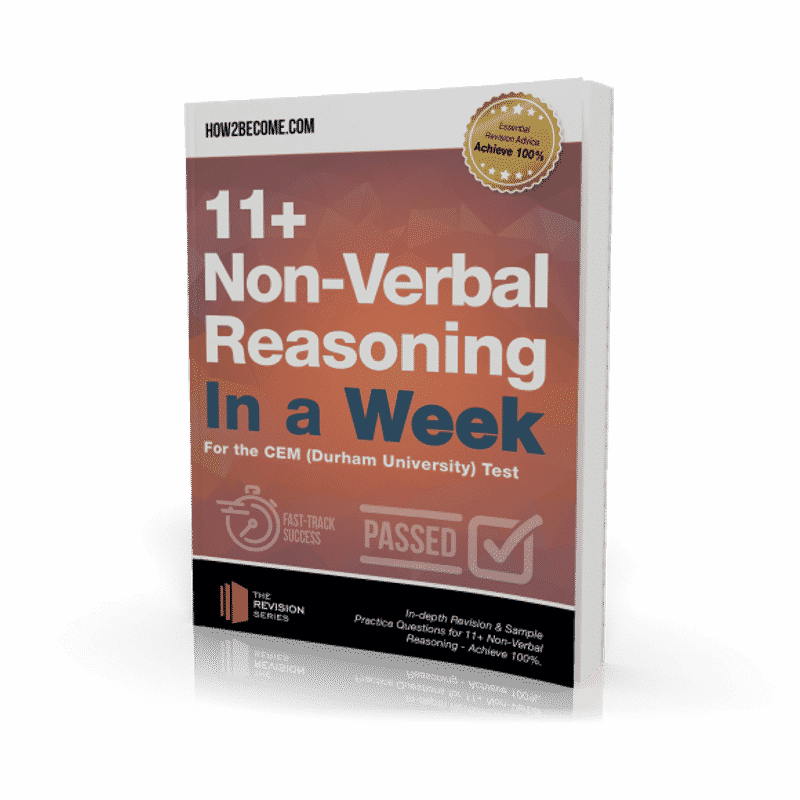 So, in this guide, you’ll find everything you need to prepare your child for the Non-Verbal Reasoning portion of the 11+ CEM in a single week. 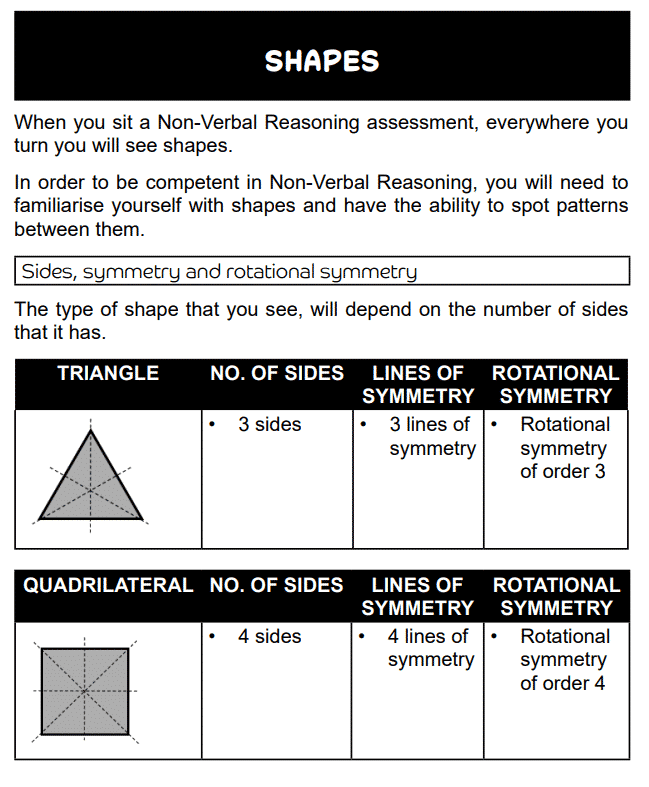 The 11+ CEM Non-Verbal Reasoning Test is one out of the three testing areas present in the 11+ CEM (the others being Maths and Verbal Reasoning). 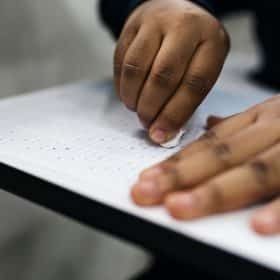 So, the purpose of non-verbal reasoning testing is to assess a pupil’s skills when it comes to recognising shapes, patterns, and the relationship between the two. 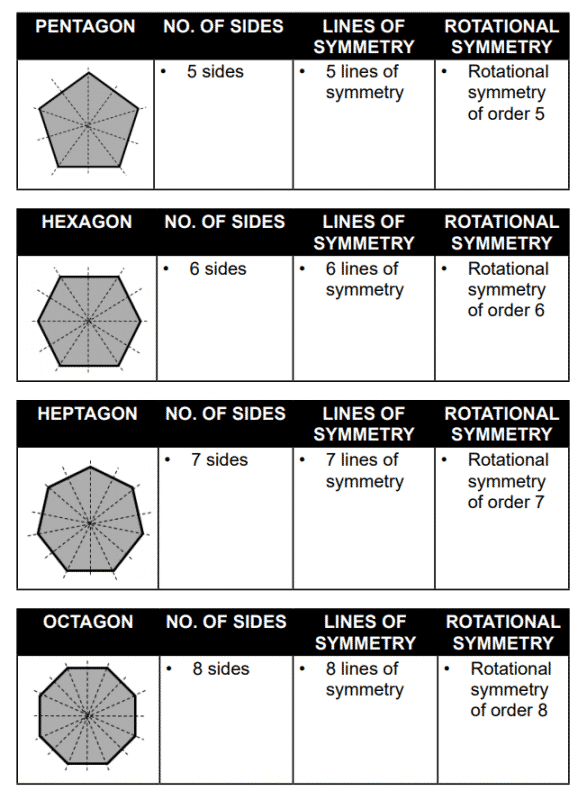 In addition, this assesses their logical and technical reasoning skills since they have to visualise and interpret shapes. Because non-verbal reasoning isn’t usually taught at school, it might be a completely new concept for your child. Therefore, it’s vital that you equip your child with the right set of tools so that they can improve their non-verbal reasoning skills. During Year 6, pupils have the opportunity to decide which secondary school they’d like to enrol at. 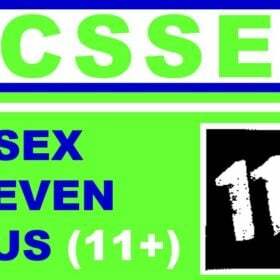 So, if you would like your child to attend a grammar school, then your child must pass the 11+. 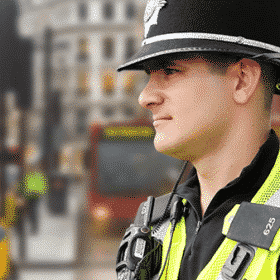 If the schools in your area use the CEM 11+ Test, then this guide is suitable for you. 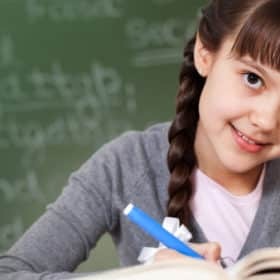 Therefore, since your child must pass the 11+ to secure a place at a grammar school, it’s important that your child prepares thoroughly for the challenges that they might face. The CEM 11+ is used by grammar schools in a number of counties across England. The test was designed to be ‘untutorable’. Nevertheless, you can still make sure that your child is prepared. So, preparing your child for the CEM 11+ Test is the focus of this book. The CEM 11+ is an incredibly important assessment for many children. This is because passing or failing the 11+ can be the difference between your child attending the school of their choice, or ending up at their second choice of school. 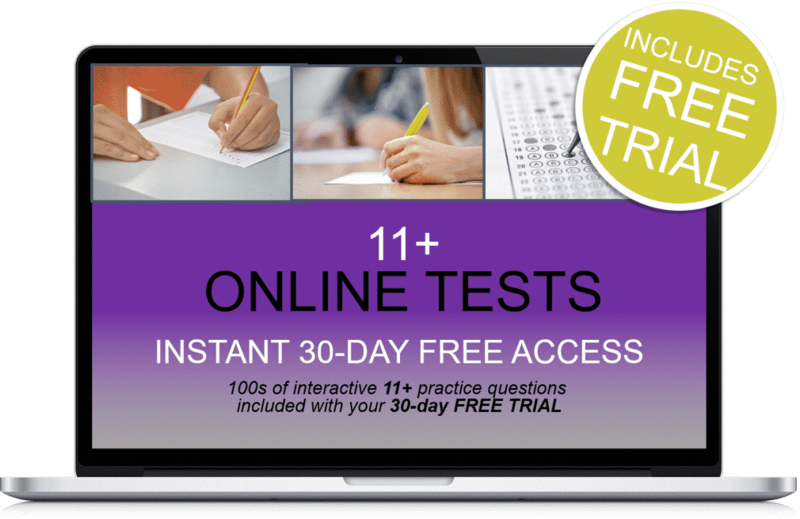 Therefore, we believe that ample preparation is vital for children who are planning on taking the CEM 11+ Test. 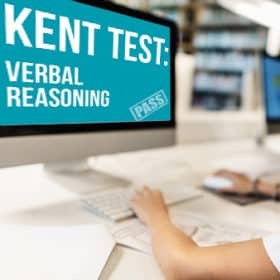 Packed full of content, this guide is perfect for learning and practising the content of the CEM 11+ Non-Verbal Reasoning Test in a single week. 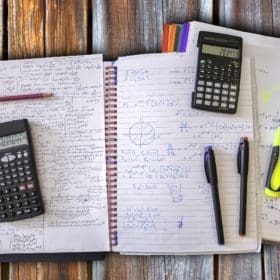 Whilst this guide won’t contain exactly the same questions, what this guide does offer is question styles that mirror what your child can expect to take in the exam. Therefore, your child will be able to improve on the essential skills needed in order to pass the CEM 11+ Non-Verbal Reasoning Test. EXPLANATION = Figure B is the odd one out because the other figures contain only three lines, whereas Figure B contains four lines. 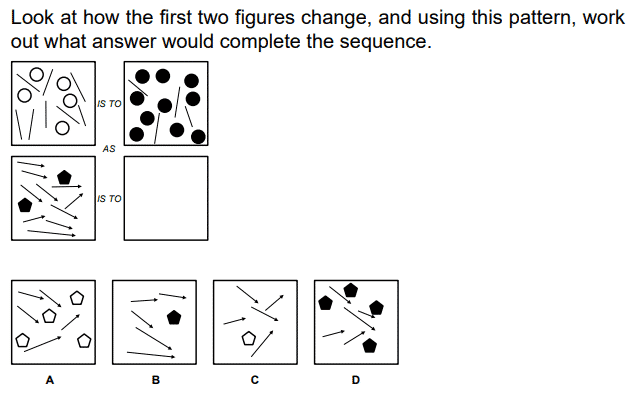 EXPLANATION = Answer option B is most like the two other figures. The two figures show a large shape. The number of lines inside the shape is one less than the sides of the large shape. EXPLANATION = Within the first set of squares the circles double in number from 5 to 10 and change from white to black. The number of straight lines halves from 8 to 4. EXPLANATION = The sequence is as follows: every even square has triangles pointing in the right direction, every odd square has triangles pointing in the left direction. The sequence progresses with the triangles getting bigger each time. EXPLANATION = In the top and bottom rows, the larger shape and smaller shape swap so that the smaller shape becomes large and the larger shape becomes small. The shape that was inside the other shape now has the other shape inside of it. The shading also changes on the shapes in the middle of the grid. For these reasons, the correct answer would be C.
Detailed answers and explanation to teach your child how to reach the correct answer. 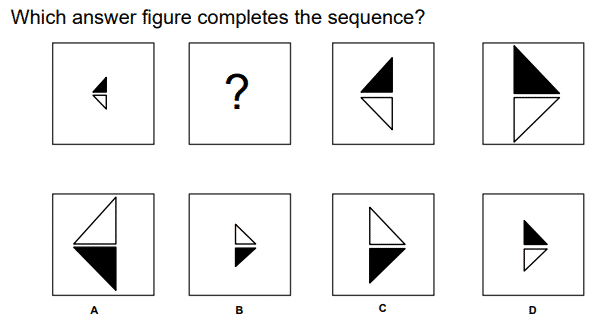 11+ non-verbal reasoning broken down the easy way – make learning quick, easy and fun! Created to cover CEM style question types.